As has been the case for many a grand and not so grand tourist, Lawrence’s first view of the Alps from the valley of the Isar, and his subsequent intimate contact with them, changed his view – literally or otherwise – of nature, humanity in relation to nature, and God in relation to both. Having first seen the Alps, he returned to them in half the years of his life after 1912. He did so partly for his physical health (according to the medical recommendations of his time); partly because he wished to visit the places either side of them and needed to move between them; and partly, too, because they posed to him a spiritual challenge. He did not settle in his view of the Alps; he was both attracted to and sceptical of them, and the theological speculations with which they inspired him. The binarism which characterises much of Lawrence’s philosophy, and was developed in detail in Study of Thomas Hardy, took one of its earliest forms in the North-South European binary of Twilight in Italy. The distinction between the Teutonic North and the Dionysiac (albeit now somewhat twilit) South suggested itself to Lawrence at precisely the time of his encounter with the Alps, which obtrusively mark the boundary between them. The mountains, in this conception, are a “long, watchful line of the ice-pale Alps stand[ing] like a row of angels with flaming swords in the distance, barring us from the paradise of the South” (MN 97). Within this border zone, he found specific points of transition, for example at the Gotthard Pass or the Pfitscherjoch, where he and his characters cross “in silence from the northern world to the southern” “over the ridge of the world” (TI 218). Since in Lawrence’s psycho-geography both North and South possess intrinsic value, and since the extremes of both are – as Gerald and the African fetish in Women in Love respectively demonstrate – to be avoided, one might expect these high points to be an ideal point of balance. This is Stefania Michelucci’s argument in her introduction to the Penguin edition of TI – that at the high points “the two opposites meet in the line of perfection” (TI 1997 xxv). However, I would argue that the perfection which Lawrence and his characters experience at these high points is a religious ecstasy which represents no kind of compromise or union. It has considerably more kinship with the North than the South; snow, and limited flora, link the Pfitscherjoch to the Arctic. That is why the arctic Gerald of WL has sufficient affinity to the Alps that he is obliged to finally to lie down and become of their essence. However, the Alps are not merely Arctic. They have their own features, belonging to their altitude, which the Arctic lacks as much as does the South. In trying to understand these sui generis qualities over the three centuries since Alpine tourism first developed, most tourists have ignored the perceptions of locals, considering them too primitive or too innured to apprehend the essence of their surroundings. A few, however, have saught to be guided by them – or have at least projected their own intuitions onto them. Lawrence falls into this minority class. In Twilight in Italy he infers a Tyrolean theology of fear. In “A Chapel Among the Mountains” he concludes from the chapel’s votive tokens that “They lived under the mountains where always was fear”, “First of all gods was the unknown god who crushed life at any moment, and threatened it always”. The Virgin Mary is the ostensibleobject of thanks, but in fact it is the “dread unnamed” which is being propitiated, because it has the power to inflict the pain visible in the sculpted Christs of the High Tyrol (TI 31). In this respect, Gerald is accredited with empathy with the local religion when he nears his death. He sheers away when he sees “a half-buried crucifix, a little Christ under a little sloping hood”, because it at that point occurs to him that “Somebody was going to murder him. […] He looked round in terror at […] the rocking, pale-shadowy slopes of the upper world” (WL 473). The idea of the source of death as located above is found also in William Golding’s The Lord of the Flies (1954), where the Beastie inhabits the highest point of the island. 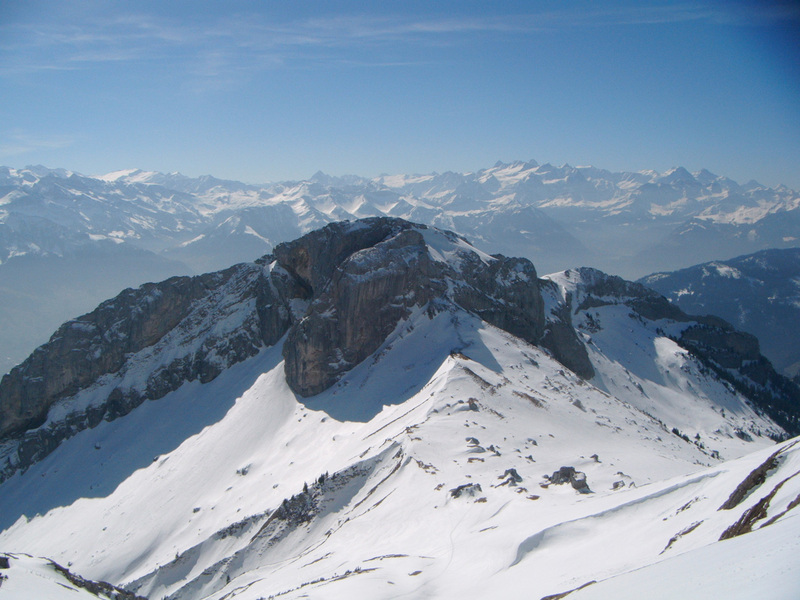 In the case of the Alps, it is from the highest points that avalanches and rocks descend and floods originate. In “The Return Journey”, Lawrence writes that “all the people of the mountains, on the slopes, in the valleys, seemed to live upon this great, rushing wave of death, of breaking-down” (TI 213). However, a god – no matter how destructive – is eternal, and for Lawrence the high Alps partake of, and guarantee, eternality. The peasants are aware of their mortality by contrast tothe mountains on which they live. Lawrence himself seems to have observed the sense of a destructive Alpine god from something of a distance. In Twilight in Italy it is attributed solely to peasants, and in his fiction, none of the characters which most resemble Lawrence have a sense of it. He does, however, seem to have felt the crystalline-eternal aspect of the mountain-tops, to an extent that influenced his lifelong project of religiopoeisis. Rupert Birkin, Ursula Brangwen, Mr Noon, and Captain Hepburn all have an apprehension of “the ice and the upper radiance of snow” as “brilliant with timeless immunity from the flux and the warmth of life” (TI 93), “the radiant cold which waits to receive back again all that which has passed for the moment into being” (TI 213). In this view it is not so much that death descends from above, but that this our mortal life streams upwards towards a crystalline Nirvana. This is certainly what was felt by the orderly of “The Prussian Officer”, who throughout the story yearns beyond the hot Bavarian plain towards the cool, eternal heights of the mountains beyond. The point is insisted on in paragraph after paragraph, and increasingly as he nears his death. After he has murdered his officer, “still, gleaming in the sky, […] they shone in their silence. He stood and looked at them, his face illuminated” (PO 19). The next morning, when he is dying, “He wanted them – he wanted them alone – he wanted to leave himself and be identified with them.” He has a fit, but on returning to consciousness: “He roused onto his elbow and stared at the gleaming mountains. […] He stared till his eyes went black, and the mountains as they stood in their beauty, so clean and cool, seemed to have it, that which was lost in him” (PO 20). That is the last he sees – the vision of “The Crucifix across the Mountains”, of man having “gone into […] the radiant cold which waits to receive back again all that which has passed for the moment into being” (TI 93). Despite being an ordinary soldier and a dark-eyed peasant of the Bavarian plains, he therefore has something in common with the Arctic officer Gerald Crich. Both are strong young men in the Alps. They accompany a person (the Officer and Gudrun) who has power over them and increasingly enrages them. One day they seize this person’s neck in order to murder them, experience intense voluptuous satisfaction, and shortly afterwards die spiritually and then physically. But of the two only the orderly understands the sublime perfection of the mountains. Gerald, for all his love of tobogganing, ultimately only perceives their danger – he is estranged from Gudrun in her Alpine ecstasy. This might be why when he dies he is thoroughly a corpse of “bluish, corruptible ice” (WL 480),whereas the orderly’s corpse, assumed into the perfect, looks “as if every moment it must rouse into life again, so young and unused” (PO 21). However, Will was looking up – whereas from mountains one can look down. In “The Return Journey”, Lawrence describes looking down from the Furka Pass and thinking of “London, far away below, beyond, England, Germany, France […] all beneath was so unreal, false, non-existent in its activity. Out of the silence one looked down on it, and it seemed to have lost all importance” (TI 217). The next morning, “standing looking round at the mountain-tops […] I was jumping in my soul with delight. Should one ever go down to the lower world?” (TI 218). At that point in his life he had the delicious sense that he did not need to. Ursula and Gudrun above Hohenhausen – neither of whom have to return to England either – shed their pasts and feel as though re-created by the mountains. However, as every mountaineer knows, it can be harder to descend than ascend, and this is a more difficult kind of ecstasy to live on after than the sexual kind experienced by Lawrence’s couples. The latter do not or cannot want their moment to last forever, whereas the mountain ecstatics frequently do. Gudrun finds a mountin twilight “so beautiful […] she wanted to gather the glowing, eternal peaks to her breast, and die” (WL 446). Because it is intrinsically a solitary experience, it isolates the other partner in a couple. Gerald treats Gudrun as Anna treats Will in the Cathedral: “What does the twilight matter?” “Why do you grovel before it? Is it so important to you?”; “she winced in violation and in fury”, “It is the most beautiful thing I have ever seen in my life. Don’t try and come between it and me” (R 190; WL 447). The Rainbow is ultimately on Anna’s side in the Cathedral dispute. Women in Love is, if not definitely on Gerald’s side (his attack is crude), ultimately distrustful of mountain ecstasy. Ursula feels such ecstasy less, and orders an escape to the paradise of the South. Gudrun’s future at the end of the novel promises nothing which could match her own Alpine ecstasy. They, too, find it difficult to descend from their mountain ecstasy. Birkin’s love for Gerald, which begins in the mountains, is rekindled when he mourns his Alp-frozen body in the final chapter. It would seem that the mountains encourage male friendship, more than heterosexual connection, to flourish; the onwards thrust of life, by contrast, requires of the characters that they descend again to the plain. The 1919 Foreword to the American edition of the novel claims that “This novel was written in its first form in the Tyrol” (WL 485). In fact, the first (Rainbow)part of “The Sisters” was written in the Italian section of the Lago di Garda at Gargnano, over the border from Austrian Tyrol. The ending to Women in Love was not written until four years later. Yet the mention of the Tyrol suggests that in an important sense the novel was conceived there. The Foreword also claims that the novel “took its final shape in the midst of the period of war”, and partook of its bitterness (WL 485). The more positive Alpine ecstasies, of the Prussian Officer’s orderly and Lawrence in Twilight in Italy, had been written on location. Once Lawrence was free to travel again after the War, he wrote or completed three works which include the Alps: Aaron’s Rod (1917-21), Mr Noon (1920-22) and The Captain’s Doll (1921). In the last two of these the action moves from Bavaria to the Alps, whilst in the first, Aaron moves to Novara, whence he sees the Alps from the South side. By the time this novel was completed in June 1921, Lawrence had seen the mountains again by travelling from Florence via Switzerland to Baden-Baden in April. His Southern approach to them, as well as the recollation of seeing them from the Isar Valley in 1912 – which had been revived by his work on Mr Noon four months before – are both reflected in the passage. Yet the narrators of both novels can also demonstrate vigorously impious attitudes – particularly that of Mr Noon. He calls on “Dear draughty uplift” to “bellow out our skirts and trouser-legs like zeppelin balloons, till we whirl […] up into the sky, whence we can look down on our fellow-men” (MN 198). The metaphorical mountain-top to which he refers, from Mr Noon to Fantasia of the Unconscious to “Climbing down Pisgah”, is Pisgah, from which various holistic conceptions of humanity are, erroniously, espied. Even in Women in Love, Lawrence is vigilent of the dangers of seeing the South as a promised land from the vantage point of the Alps. The Pisgah metaphor may have suggested itself to Lawrence in part precisely because of the spiritual elevation which he himself had experienced on Alpine mountains. In the novella which he wrote a year later, he subjected the Alps to the anti-idealist critique which is voiced so frequently and explicitly in Mr Noon,and is deeply implicit in Aaron’s Rod. Back at the hotel at the glacier’s foot, “Jews of the wrong sort” are described as imparting “a wholesome breath of sanity, disillusion, unsentimentality to the excited “Bergheil” atmosphere. (CD 140) The relationship to which Hannele soon thereafter consents with Hepburn is not certainly hopeful, Hepburn’s mockery carries less rhetorical weight than does Anna’s of Will, and Hannele’s reciprocal mockery carries significant weight too. Nonetheless, the mountain ecstasy which Hepburn has destroyed is not allowed to stand as determinative, in the onward stream of her life. Ursula’s urge towards the South in Women in Love is here reproduced; and he went on to write the novella in which the mockery of Alpine ecstasy is accorded more weight than is Gerald’s of Gudrun’s. After leaving Zell-am-See in August 1921 he did not return to the Alps until November 1925. He did not, in the interim, engage with the mountains of Mexico or New Mexico anywhere near as intimately or strongly (which is not to claim that he did not engage with them importantly). Having recreated his own greatest Alpine ecstasy in Mr Noon, and expressed his greatest scepticism of the same in The Captain’s Doll, his period of intense imaginative engagement with the high mountains was over. He stayed in November 1925 in Kastanienbaum near Luzern, crossed the Alps in July 1926, and travelled in October 1926 from Paris to Florence via Lausanne – but without mentioning the mountains in his letters. Yet in 1927 and 1928 he spent more time in the Alps than at any previous point in his life. The reason was the opposite of the thirst for the eternal felt by the Prussian Officer’s orderly; he reached for the mountains in order to prolong his warm, physical life. He spent most of August 1927 in Villach in Austria, describing the mountains predominantly in terms of their coolness, and how good they were for his bronchials. Five months later he returned for a six-week winter stay at Les Diablerets, Switzerland: “a tonic, after Italy” (6L 271). Again, his distrust of Alpine absoluteness resurfaces: “I am no snow-bird, I hate the stark and shroudy whiteness, white and black. It offends the painter in one – it is so uniform – only sometimes lovely contours, and pale blue gleams. But against life.” (6L 277) His conclusion sums up one contradiction of his stay there: “I rather hate snow: look on it however as a medicine” (6L 279). However, the “hate” was not without connection to his old sense of metaphysical awe at the mountains, which he had first experienced sixteen years before, and had attributed to several of his characters in the interim, yet which still – by definition – felt estranging. He wrote to his mother-in-law: “wir zittern beide ein wenig, es ist so fremd, wir sind so ungewöhnt, und schnee [sic], tiefer Schnee, das ist so ungeheuer. Ich bin wie ein grüner Papagei, ganz erstaunt. Aber doch soll es uns gut thun [sic] – gesundlich: sonst ist es ein Wahn!” (6L 274) (we’re both shivering a bit, it’s so foreign, we’re so unused to it, and snow, deep snow, that’s so monstrous. I’m like a green parrot, completely astonished. But it should be good for us, health-wise; otherwise, it’s crazy!). Three months later he returned to the Alps, this time to Switzerland for four months, of which three he spent at high altitude and in primitive isolation near Kesselmatte, Gsteig. Here, his emphasis was on the peace which the mountains offered in contrast to the nervousness of Italy: “It’s very nice – very peaceful – steep meadows, pines, waterfall, mountain-tops, patches of snow, harebells, wild strawberries, hay” (6L 474). Yet again, however: “I get rather sick of these eternal mountains standing there en bloc” (6L 527). Eternality no longer had any appeal to him; or, when he was to confront it in his poetry, he conceived of it in terms of horizontals, as in “The Ship of Death”, not verticals. In one of his last letters before descending from the high Alps for the last time, he wrote: “Here it is real autumn, rather chilly, with clouds all tangled in the mountain tops. The cows have just been let into the home field, so of course they’ve all rushed straight under the windows, and such a clashing of bells you never heard” (6L 565). It was now time for him to attempt to prolong physical life, like the cows, in the warmer lowlands. The last literary work in which he describes the Alps, and the only one after The Captain’s Doll, is “The Woman who Wanted to Disappear”, an unfinished story of 1929 – and it enacts the same process of descent. The eponymous woman finds no sublimity in the mountains, which happen to be full of tourists’ motor cars. She takes the opposite journey to the Prussian officer’s orderly – away from them, towards Bavaria, mirroring Lawrence’s journey from Italy via Basel to Baden-Baden that July. When she once looks back and sees: “the mountains standing away back to the south, naked and greenish as if made of glass, and slashed with snow” (VG 252-53), this is the last description of the Alps in Lawrence’s fiction. It is aesthetically and emotionally a relatively casual departure from the “Tigers prowling between the north and the south” (AR 150), or “marvelous striped skypanthers circling round a great camp” (AR 148). She then stumbles across a man of Italianate warmth, in a Bavarian hut. The story’s last sentence is “Ah! Slowly the heat was penetrating through the plaster of the stove, and warming her back” (VG 255). There is no ice here; nor, one imagines, will an icicle be involved in her climax (as in the similarly-titled “The Woman Who Rode Away”). Lawrence’s turn away from the Alps as a source of metaphysical significance, threat, and value, should be added to the many other ways in which Lawrence’s development over the twenties has been characterised and understood. It fits with his turn away from Europe, of which the Alps form the North-South turning point. It fits withhis increased interest in society and social organisation, as manifested in social novels such as Kangaroo, The Plumed Serpent and Lady Chatterley’s Lover, the appeal of the febrile, unsustainable cameraderie of Alpine huts having been left behind. It fits with his turn, to be expected in a dying man, towards the prolognation of physical life and relationships. It also fits with his turn towards a conception of God as forever changing, out of reach in the wilderness (as in his essay “On Being Religious”) – not as fixed and transparent on the mountain tops (RDP 190). By definition, that is, a god which did not move could not be the God. Yet the Alps had served a function. They had helped to unEnglish Lawrence. They had helped him to get a distance from his Congregationalist Christianity, and to free up his religiopoisis. The Alpine ecstasies experienced by the orderly, the Brangwen sisters, Mr Noon and Hannele constitute some of Lawrence’s finest writing, and the deflationary comments of Gerald and Hepburn do not deflate the effect of this prose for the reader, as they do the experience for the characters. The German writer Wilhelm Emanuel Süskind claimed, in his 1933 review of The Captain’s Doll, that the novella’s scenes in the Tyrolean mountains were among the most magnificent things in modern prose (Jansohn and Mehl 2007, 35). It is in fact likely that such ecstasies constituted some of the greatest moments of Lawrence’s life.